Overall term for female-specific issues, including health care and reproductive rights, differential pay, and sexual violence. Join us on Saturday, April 7, 2012, from 9:00-10:30 a.m. at La Chatelaine on Lane Avenue. 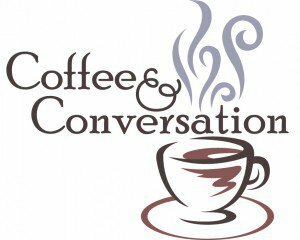 Read more about Important Coffee and Conversation April 7th! Are you an effective communicator for women's issues? How strong is your messaging ability? "Effective Communication for Women's Issues: How Women Can Hone Their Messaging Skills" will be the special topic addressed at the Central Ohio Democratic Women's Caucus meeting Thursday, March 22, 2012, from 5:30 - 7:00 p.m. at the Ohio Democratic Party (ODP) headquarters, 340 E.
UAPA Book Club will meet on Monday, November 28 at the Upper Arlington Main Library, Room B. Our next selection is "Half the Sky: Turning Oppression into Opportunity for Women Worldwide" by Nicholas Kristof and Sheryl WuDunn. General meeting for all Central Ohio democratic women. Meet with women candidates and ODWC Executive Director Erin Upchurch. Plans for the statewide conference will be discussed.